It has been nearly a year since the Pregnancy Care Centers merged the Canby and Molalla facilities into one, located on SW 2nd Avenue in Canby. 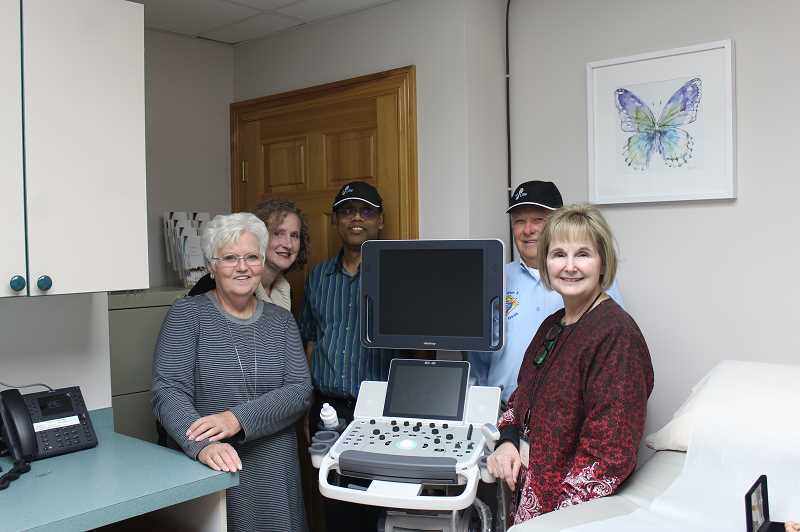 The center held an open house on Tuesday, Dec. 4, just as the new ultrasound machine had arrived. For executive director Linda Fender, the open house, along with a recent volunteer appreciation dinner, allowed her the opportunity to give thanks for how far the center has come over the last year. Fender, who lives in Molalla and worked at the Molalla center, admitted she had been dragging her feet about merging. But in the last year, she hasn't enough fingers to count the blessings the center has encountered…from the new location, to outstanding volunteers, financial support, a new medical director and the donation of a new ultrasound machine. "Everything is by donation and the few fundraisers that we do," Fender said. "So we get everything by the hand of God, we say." The center is 100 percent privately-funded, dependent upon donations from individuals, organizations and churches. It is also largely dependent on volunteers, of which, they welcome all kinds. 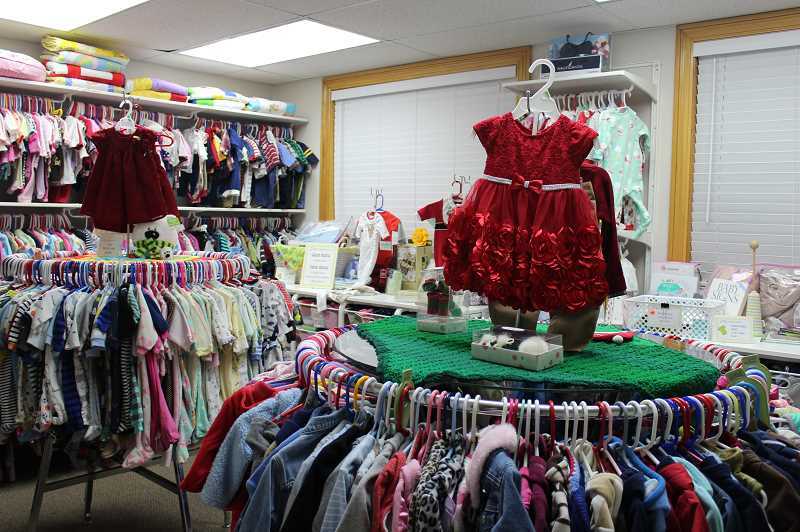 Current volunteers include nurses, cleaners, boutique sorters, layette makers and more. "There's a place for everybody, even if you can't come into the center, to do something," said Rosalie Baugh, a volunteer nurse. The center offers pregnancy resources, including medical services, classes and supplies for new mothers and their families. In addition to the new ultrasound machine, donated by St. Pius X Catholic Church, with the help of the nonprofit organization 4US (for ultrasounds) and Beaverton Knights of Columbus, the center also boasts an enviable baby boutique that parents can earn bucks to shop at through taking classes. But according to Fender and Baugh, the greatest gift they give new parents is relationship. "It's really about relationships," Baugh said. "We have to talk about the money, the training, the association and things like that, but the ladies that come in learn to be connected with those who volunteer here. And it's the sense that, 'You're acceptable. You're good. You're awesome—no matter what it is that's going on in your life.' "
Mothers come to the center for many reasons—to confirm their pregnancy, for parenting support and for help processing an unexpected pregnancy. "So at that point, then they start to think about it more, rather than a knee-jerk reaction…a panic thing. They can make a more well-thought out [decision]." PCC is located at 158 SW 2nd Ave. in Canby, and they can be reached at 503-266-2673.